Coles has slashed the price of its Birds Eye frozen chips to just 50 cents. 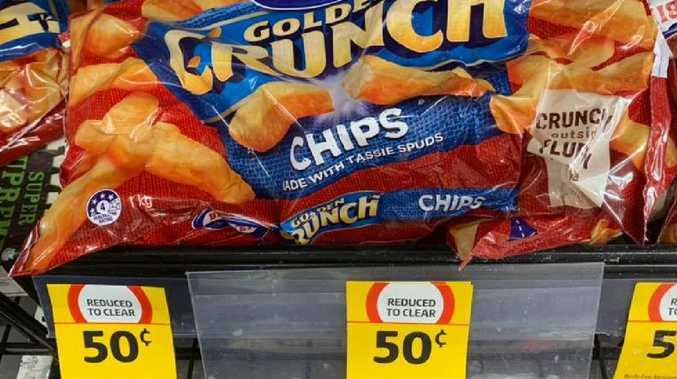 Coles sent customers into a frenzy yesterday after slashing the price of a popular frozen chips brand. 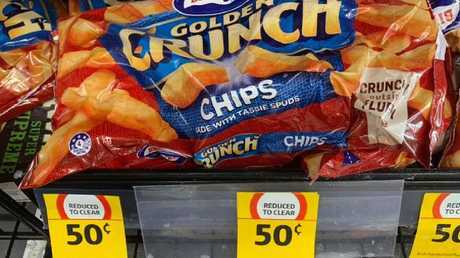 Normally retailing for $4.30, the golden crunch (1kg) Birds Eye chips have been reduced to just 50 cents. "50 CENTS! No, not the rapper, this is the actual PRICE of these chips! !,' someone posted on I Bought It At before shoppers started tagging their friends about the deal. Coles has slashed the price of Birds Eye chips to just 50 cents. Only at some stores. "Ohhh Manda Campbell think about how many bags of gems we could get." "Winona Wilson we gotta go get some." "Wish I had a freezer sometimes." A Coles spokesperson confirmed the mega sale was happening store by store based on stock volumes ahead of a new range launch. 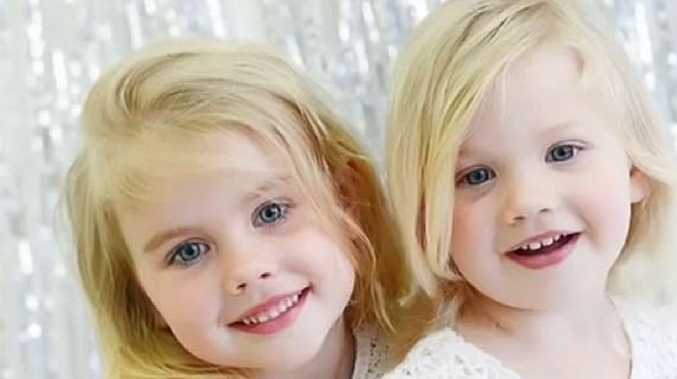 "Coles is clearing space for an exciting new range of products that are set to land in stores across Australia over the next couple of weeks … watch this space," the spokesperson told news.com.au. Coles also recently slashed the price of these Birds Eye deli frozen chips and roast potatoes. 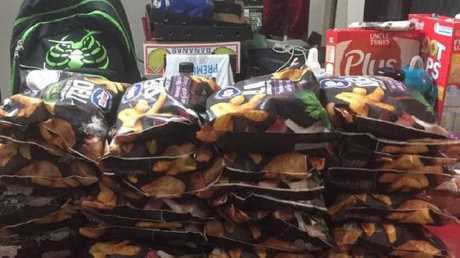 Naturally, people started to share photos of their potato hauls online. It's not the first time the supermarket giant has held a flash sale on the brand. 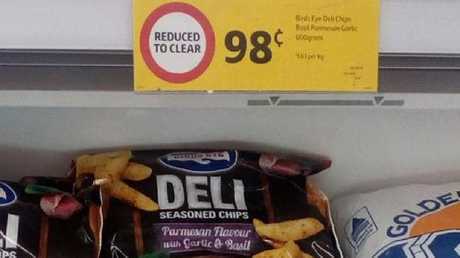 Just a few weeks ago, Coles reduced bags of Birds Eye's deli chips and roast potatoes to 98c, a huge saving from their regular $3.50 price tag. It came days after rival Woolworths held a massive half-price sale on its selected frozen foods range. But that sale was only available online - nonetheless, it still attracted many keen shoppers as it avoided having to line up in store. "I'm seriously keen, my cart is full of finger foods for my daughters birthday party next month," a thrilled customer said online.